To the surprise of probably nobody, St. Margaret’s is still no. 1 in the Orange County/Inland Empire boys’ lacrosse coaches poll. St. Margaret’s has established itself as clear no. 1, and was near unanimous selection. What may be more surprising is the fact that not a single Top 20 team changed positions since last week. 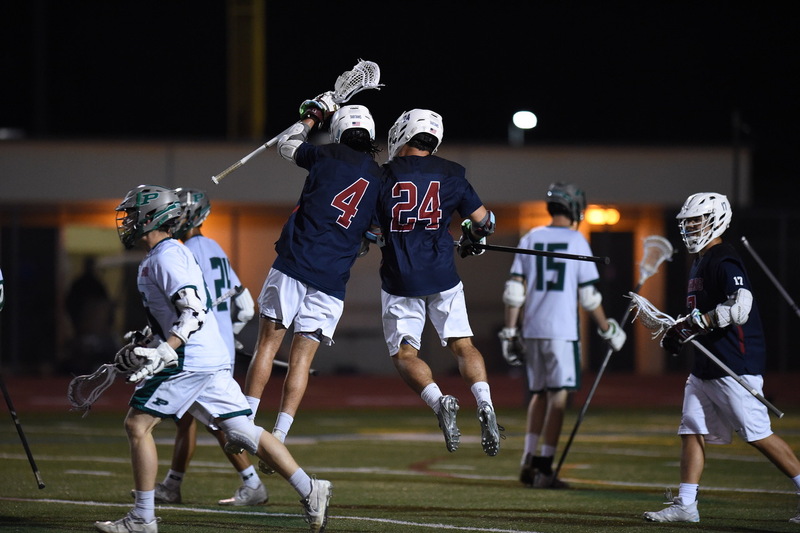 Corona del Mar, Yorba Linda, Trabuco Hills, and Foothill are all but tied in the next four positions, with less than one point separating No. 2 CdM from No. 5 Foothill. Foothill despite defeating CdM 7-1 on Saturday and being the only team with two wins over Top 5 teams did not move up in the rankings this week. After Foothill, there is another clear break with a four-point difference between the Knights to No. 6 Santa Margarita. Further down, No. 16 Murrieta Mesa and No. 17 Edison are neck and neck for what could be the final playoff position.